2111 East Gila Ridge Rd. 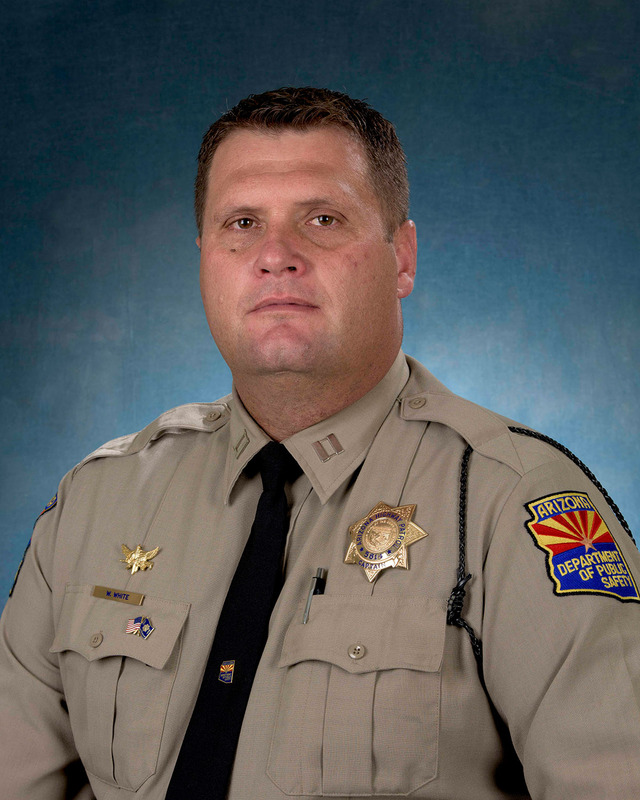 Captain Jamie Clark is assigned to the Highway Patrol Division as the District Commander in Kingman, Arizona. 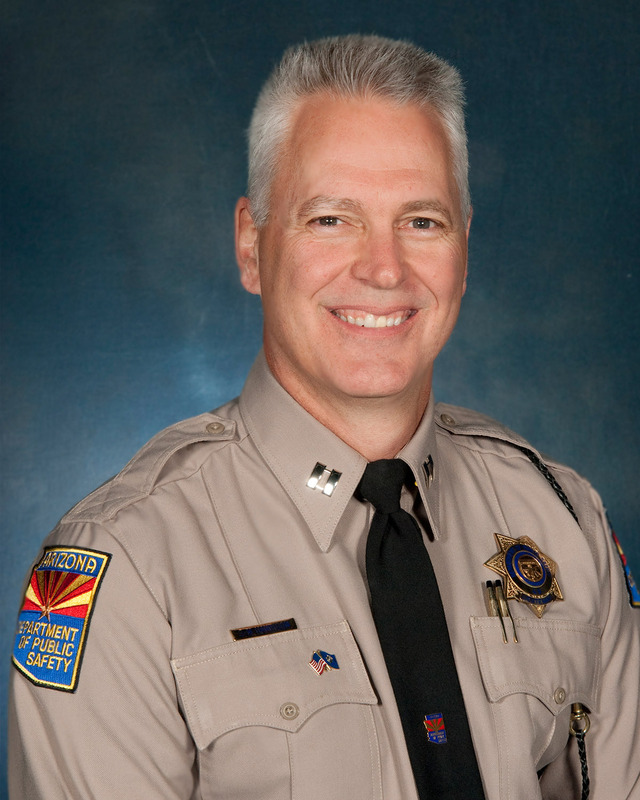 Captain Clark began his career with AZDPS in February of 2002, and has held positions in the Highway Patrol and the Criminal Investigations Division. He began as a trooper in Kingman, Arizona where he worked for four years prior to being selected as a detective in the Criminal Investigations Division where he served for ten years. Captain Clark held numerous positions during his tenure in the Criminal Investigations Division. As a detective with the Mohave Area General Narcotics Enforcement Team (MAGNET), he conducted street-level to large-scale drug related investigations. He was ultimately promoted to sergeant and assigned to supervise drug-related and money laundering investigations in Yuma County. During this assignment, he was deputized by the Drug Enforcement Administration (DEA), and worked with the DEA on numerous investigations. In 2010, he was transferred to MAGNET, where he served as the supervisor and DEA liaison for six years. During his tenure in MAGNET, he created and taught a drug awareness program in the area high schools. He was a member of the Domestic Highway Enforcement Committee, the High Intensity Drug Trafficking Area (HIDTA), FBI-LEEDA and the Arizona Narcotics Officer Association. Captain Clark has successfully completed the DEA Drug Unit Commander’s Academy, International Association of Chiefs of Police Leadership in Police Organizations Program, the FBI-LEEDA Command Leadership Institute and the DPS Leadership in Training Program, where he now serves as an instructor. In September of 2015, Captain Zesiger was promoted to Captain and assigned to the Highway Patrol Division in Flagstaff. During his twelve years as an Arizona State Trooper, Captain Zesiger hasheld a variety of positions in the Highway Patrol Division, Agency Support Division and the Criminal Investigations Division. Prior to his promotion to Captain, Captain Zesiger served as a supervisor in the State Gang Task Force. Captain Zesiger attended the Arizona Law Enforcement Academy (ALEA) in Phoenix. Additionally, he is a graduate of the Arizona State University Certified Public Manager Program and the Arizona Leadership Program. 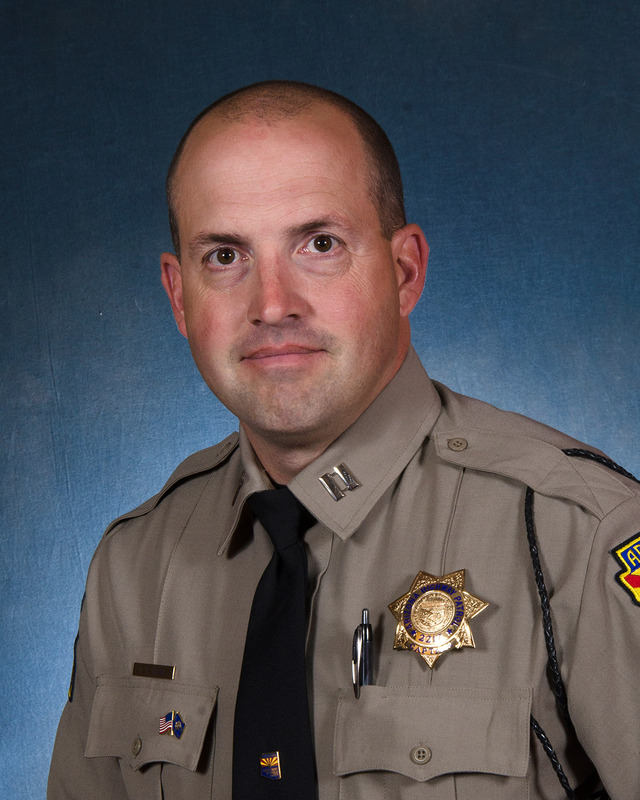 Captain Zesiger has a Bachelor of Science Degree from Northern Arizona University and a Master’s of Science Degree from Grand Canyon University. Captain Zesiger is a member of the Arizona Highway Patrol Association (AHPA), International Association of Chief’s of Police (IACP), Arizona Association of Chiefs of Police (AACOP), and the Fraternal Order of Police (FOP) Lodge 32. 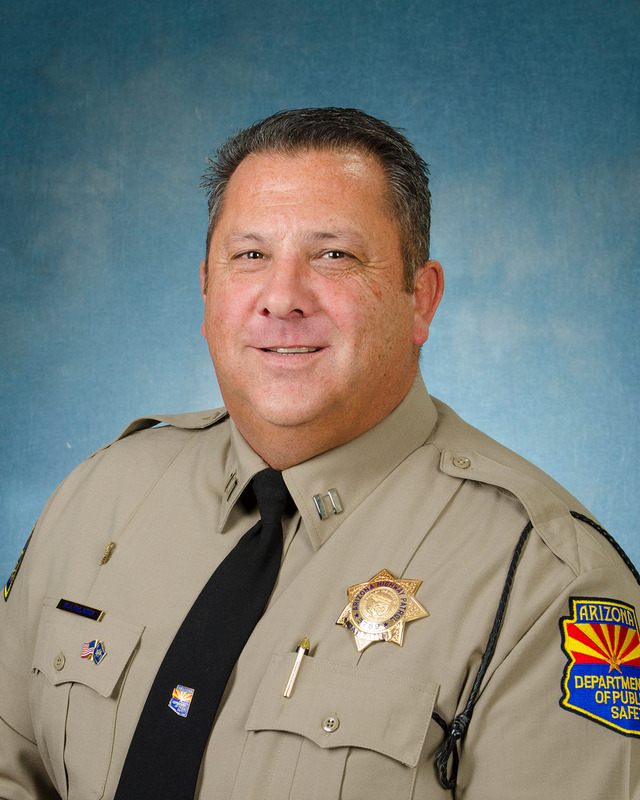 Captain Gary Phelps is the District Three commander in Northeast Arizona. District Three encompasses the White Mountains, Interstate 40 through Navajo and Apache counties and a majority of the Navajo Nation. 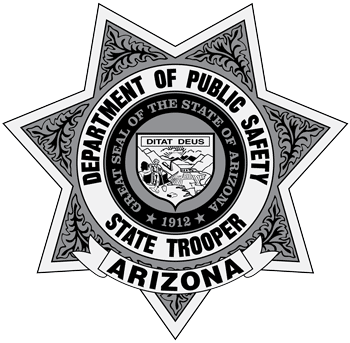 During his 30 years as an Arizona State Trooper, Captain Phelps has held a variety of positions in the Highway Patrol Division, Criminal Investigations Division and the Director’s Office. Captain Phelps has spent the majority of his career in Northern Arizona where he served as a trooper in the both Kingman and Flagstaff. As a trooper, he was trained as a collision reconstructionist and conducted several high-profile investigations, including several joint investigations with the National Transportation Safety Board (NTSB). He served for four years on the DPS executive protection unit providing security and transportation to the Arizona Governor. As a sergeant he supervised a squad of troopers in Flagstaff and served as the Northern Patrol Bureau Administrative sergeant. For four years he served as the supervisor of the Flagstaff Gang Intelligence Team Enforcement Mission (GITEM) squad. The squad conducted numerous gang investigations and gang suppression details in and around Northern Arizona. Captain Phelps graduated from Northern Arizona University in Flagstaff with a Bachelor’s Degree in Criminal Justice. He has been an instructor for over twenty years and has instructed at academies and in-service trainings for the last two decades. He is a graduate of the Arizona Police Officers Standards and Training Leadership in Police Organizations (LPO) command school. In 2009 Captain Phelps was awarded the Department’s Life Saving award for actions taken at the scene of a collision, crawling into an overturned vehicle and freeing a trapped and suffocating driver. In April of 2016, AZDPS Director Frank Milstead promoted Weston White from the rank of Sergeant to Captain and assigned him as the Highway Patrol District 1 Commander in Kingman. In May of 2016, he was reassigned as the Highway Patrol District 11 Commander in Payson. 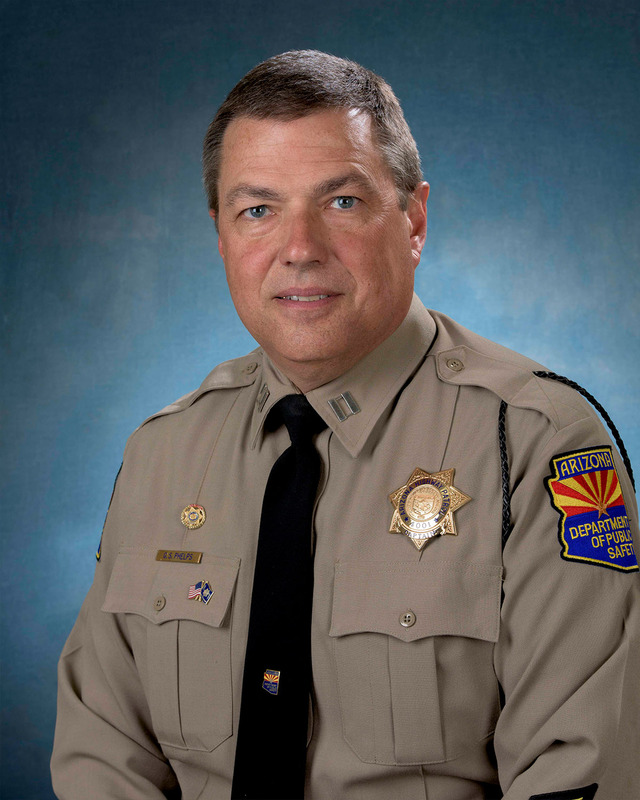 During his seventeen years as an Arizona State Trooper, he has held positions in the Highway Patrol Division and the Criminal Investigations Division. Prior to his promotion he served as an area supervisor in District 11 for three years and simultaneously as a SWAT Team Leader for over two years. He has nine years of total SWAT experience along with 13 years as a Highway Patrol State Trooper where he performed various assignments in many areas to include DUI enforcement, Drug Recognition, Field training, Recruit training, Firearms training and Defensive Tactics training. Captain White attended the Arizona Law Enforcement Academy. He has a Bachelor of Science Degree in Liberal Studies with an emphasis in Public Safety Administration from Charter Oak State College. In August 2016, Captain Stephen M. Harrison was assigned as the Metro East District Commander. During his twenty-one years as an Arizona State Trooper, he has held a variety of positions in the Highway Patrol Division, Technical Services Division, Criminal Investigations Division, and the Office of the Director. Prior to his current assignment, he served a five-year assignment as the Intelligence District Commander over statewide intelligence operations at the Arizona Counter Terrorism Information Center, as well as, assignments as the Public Information Officer, Executive Officer for the Director, and numerous administrative assignments in the Highway Patrol Division, Technical Services Division, and Criminal Investigations Division. His additional assignments as a sergeant were in the areas of Accident Reconstruction, Professional Standards, Administrative Sergeant, and Intelligence Unit Supervisor. Captain Harrison attended the Arizona Law Enforcement Academy. He previously served as a State Trooper with the Connecticut State Police for ten years, and honorably served five years in the United States Army with assignments in West Germany. Additionally, he is a graduate of the Northwestern University School of Police Staff and Command, International Association of Chiefs of Police (IACP) Leadership in Police Organizations (LPO) Command program and is a Certified Public Manager from Arizona State University. Captain Harrison has an Associate’s Degree in Applied Science in Law Enforcement from Rio Salado Community College. In September of 2015, Michael McLaren was promoted to the rank of Captain, assigned to be the District Four Commander. During his 16 years as an Arizona State Trooper, he has served in the Highway Patrol Division. He began his career in District Four, Yuma area, as a trooper working the road. He was promoted to sergeant and supervised a road squad within the Highway Patrol Division and now serves as the District Commander over the same District Four area. He has served the Department in numerous capacities by gaining skills and knowledge to teach other troopers. He is a Drug Recognition Expert (DRE), a DRE Instructor, Collision Reconstructionist, HGN/SFST Instructor, Radar Instructor and was District Four’s Lead Firearm’s Instructor. Captain McLaren attended the Arizona Law Enforcement Academy, the International Association of Chiefs of Police Leadership in Police Organizations Command program and is a graduate of the Northwestern University School of Police Staff and Command. Captain McLaren has a Master’s Degree in Educational Leadership from Northern Arizona University. In April of 2015, AZDPS Director Frank Milstead promoted Dean Chase from the Rank of Sergeant to Captain and assigned him as the District Nine, Highway Patrol Division Commander, located in Sierra Vista. 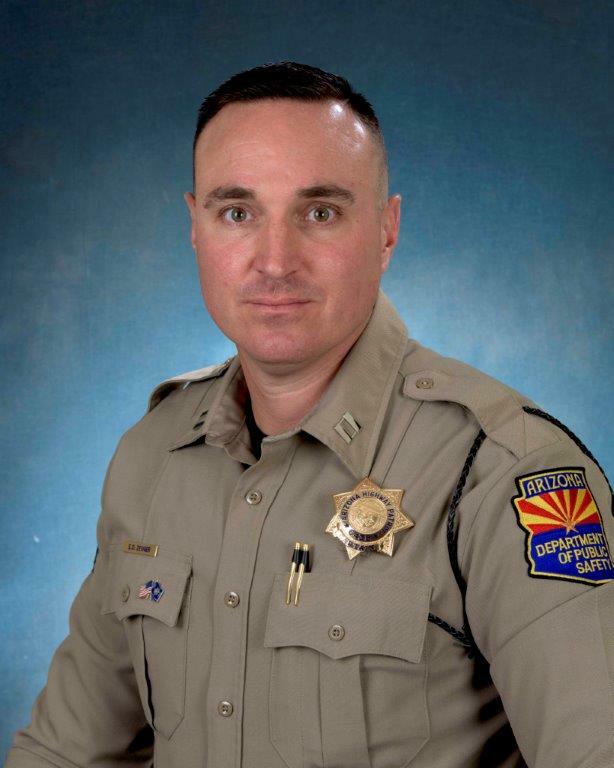 During his 17 years as an Arizona State Trooper, Captain Chase served in full-time, or temporary positions in the Highway Patrol Division, the Agency Support Division, and the Criminal Investigations Division. Captain Chase started his career with the department as a trooper in the remote duty station in Sanders. Captain Chase later transferred to the White Mountains and served in the Show Low Squad. During his time as a Trooper, he served as a Recruit Training Officer for ALEA Class #400 and he served a temporary assignment in the Navajo County Narcotics Task Force. He also served as a Drug Recognition Expert, and he also trained new troopers as a Field Training Instructor. In 2007, he was promoted to the rank of Sergeant, and was assigned to supervise the Asset Forfeiture Unit. As a sergeant, he also held positions as a district administrative sergeant, and as a highway patrol road squad sergeant for the Holbrook, Sanders, and Heber squads. Prior to being hired by AZDPS, Captain Chase served seven years with the Army National Guard in a field artillery unit before being honorable discharged in 1996. Captain Chase graduated from the Arizona Law Enforcement Academy Class #332. Captain Chase is also a graduate from the West Point Leadership in Police Organization (LPO) Command program, and the Rural Executive Management Institute Leadership program. In January of 2016, AZDPS Lt. Colonel Daniel Lugo promoted Glen Swavely to Captain and assigned him as the Southern Highway Patrol Bureau’s District Six Commander in Casa Grande. 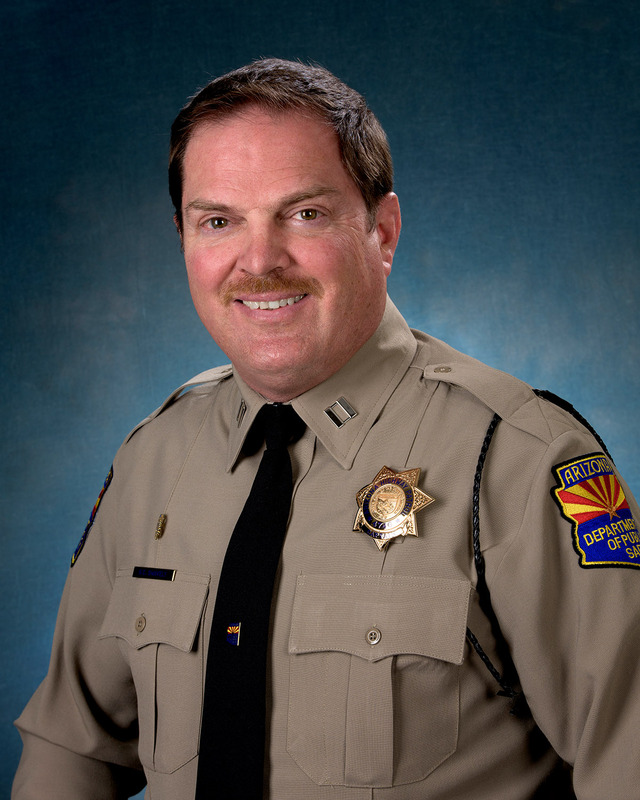 Captain Swavely graduated from the Arizona Law Enforcement Training Academy in July 1993. 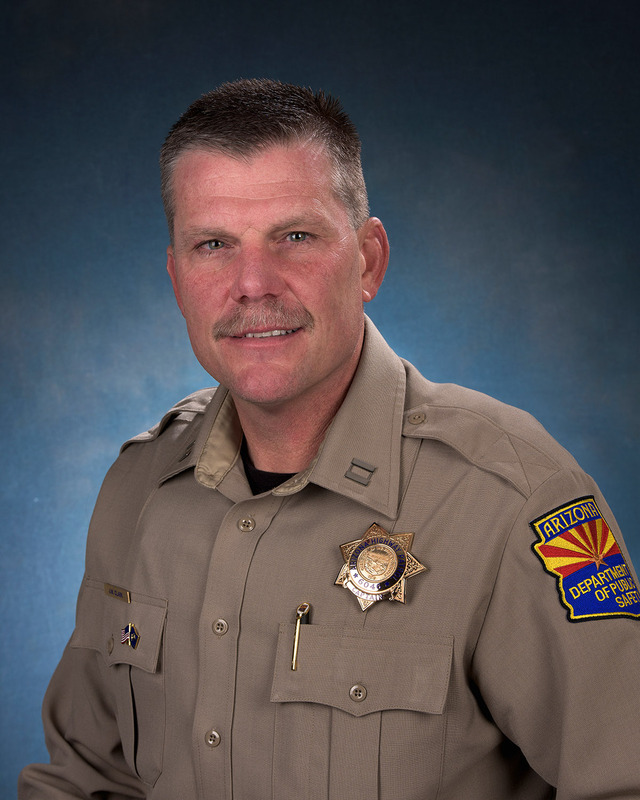 Captain Swavely was assigned to District Six in Casa Grande where Captain Swavely served as a patrolman for over 13 years, including one year with the Commercial Vehicle Enforcement Bureau in 2006. Captain Swavely served local agencies as a certified Drug Recognition Expert with over 130 drug evaluations, and provided testimony as an expert witness in Pinal County. Captain Swavely presented drug recognition presentations to educate the faculties of Casa Grande Union High School and Cactus Middle School while partnering with the Casa Grande Alliance to promote a safe and drug free community. Captain Swavely served as a volunteer baseball and softball coach and umpire for Casa Grande Little League. Captain Swavely received awards of recognition for his DUI enforcement from M.A.D.D. and the Casa Grande Elks Lodge. Captain Swavely arrested hundreds of criminal offenders along the I-10 corridor and surrounding state highways including the interdiction of one ton of marijuana during a commercial vehicle inspection. Captain Swavely interdicted illegally owned alligators and other reptiles during a traffic stop which was subsequently featured on the ABC Family television show Sea Rescue. Captain Swavely was promoted to sergeant in 2006. Captain Swavely was assigned to District Six in Casa Grande where he supervised a Highway Patrol squad to include consecutive Highway Patrol Division Officers of the Year in 2013 and 2014. Captain Swavely is a Defense Tactics and Taser Use of Force Instructor. Captain Swavely presented on a forum for Constitutional Use of Force with members of the Maricopa Rotary Club. Captain Swavely is a member of the Pinal County Law Enforcement Association, Arizona State Troopers Association, and the Fraternal Order of Police. Captain Swavely is a 2012 graduate of the West Point Leaders in Police Organizations training course. Glen served proudly in the United States Army from 1987-1990 and was assigned to historic Fort Huachuca in southern Arizona, and at Soto Cano Air Base in Honduras. Captain Swavely was a member of the Signal Corps and Honor Guard. Captain Swavely is a 2012 graduate of Northern Arizona University with a bachelor’s degree in Career Technical Education.